Inquiry-based learning is not a new pedagogy, but it has come back into fashion in progressive education circles recently because of new emphasis on the power of students' innate curiosity to drive learning. Inquiry-based learning asks students to discover knowledge on their own with guidance from their teachers. Rather than receiving information up front through lectures, students research guiding questions, ask their own follow-ups and get help along the way. Learning through inquiry requires more student agency and demands that teachers and administrators trust that students will ask when they need help. It also places the responsibility for completing tasks and meeting deadlines on the shoulders of students. Science Leadership Academy (SLA) in Philadelphia is a partnership between The School District of Philadelphia and The Franklin Institute. It has become well-known for its project-based, inquiry focused teaching style, which asks students to demonstrate their learning in a variety of ways. Students like the approach, but acknowledge that sometimes it puts them at a disadvantage when it comes to testing - they aren't used to them. Science Leadership Academy students spoke about their learning experience at the school. They describe the challenge of staying on task, but see it as a lifelong skill. “You know what you should and you shouldn't do," said Eric Loth, who admits it isn't easy. "You just got to realize it's gotta get done sooner or later." Nomi Martin-Brouilette said she appreciates the trust SLA's teachers place in students to be partners in their learning. "It's good to find things out for yourself, to come up with your own questions about things you're wondering about," she said. "It makes learning more meaningful than answering a question that already has an answer and you don't understand why you are doing it." 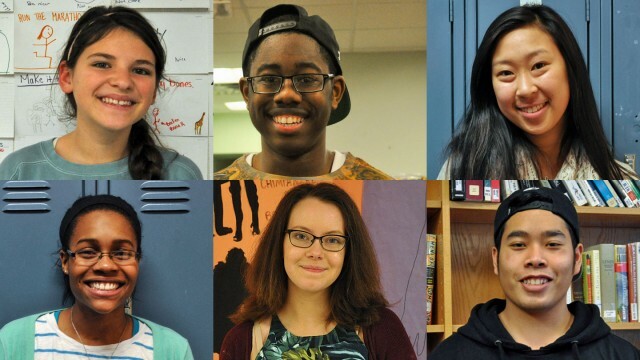 Listen to students describe the good parts and the hard parts of learning through inquiry. *These interviews were done in January, 2014 and some students have graduated.